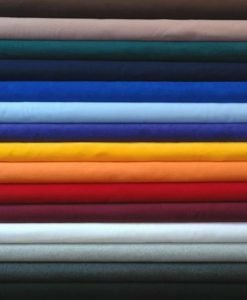 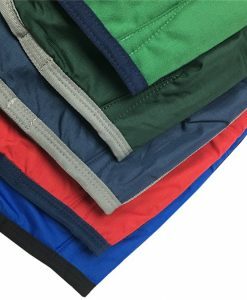 The 5/A Baker® Rain Cover from Curvon is made from 1,200 denier woven plaid fabric and treated with DuPont Teflon® to repel stains. 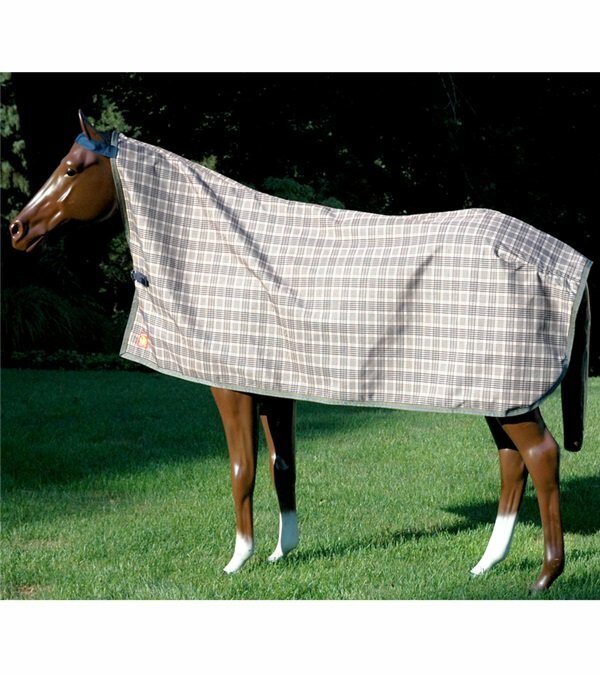 Take cover in Baker style when rain threatens your showing or schooling plans with the Baker Rain Cover. 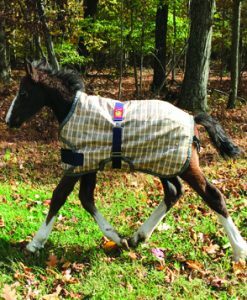 Saddles don’t like rain, and neither is it fun to swing your leg over a wet saddle. 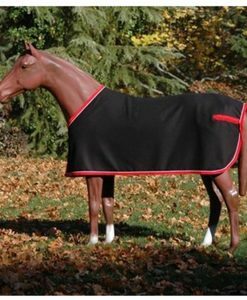 This lightweight breathable rain cover is made from the same 1,200 denier rip stop fabric that we have used so successfully as the outer shell of our turnouts, and offers browband-to-tail coverage in the ever-stylish traditional Baker plaid with red logo. 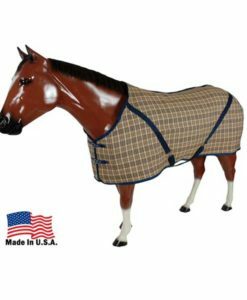 Purchase this product now and earn 306 Points! 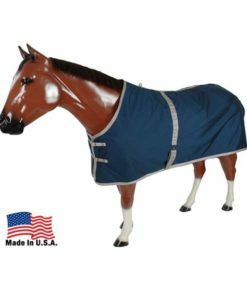 A stylish rain cover as classic as the Original Baker Blanket, the Baker Rain Cover is great for showing, on the road, or at home. 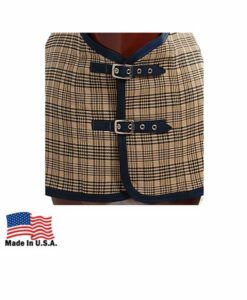 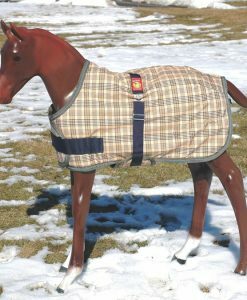 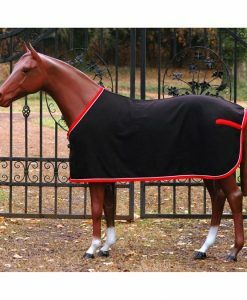 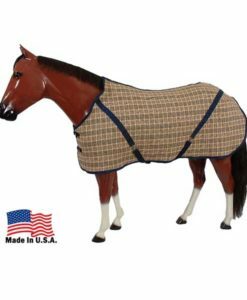 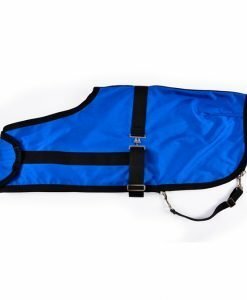 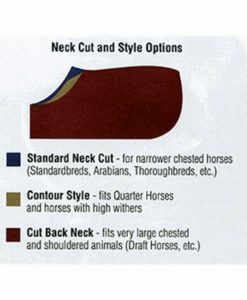 Keep your horse dry and protected from the elements between rides, classes, or schooling sessions.